After clicking on a book, use Amazon's "Look Inside" feature to get the first chapters free. Seventeen months ago, in Sydney, Alicia did something that shocked her. It shocked her that she actually did it, and it shocked her that she liked it. She also knows she won't ever do it again. But far from regretting what she calls her "fateful night" Alicia is ever grateful because it set within her an emotional requirement that demands and embraces intensity. 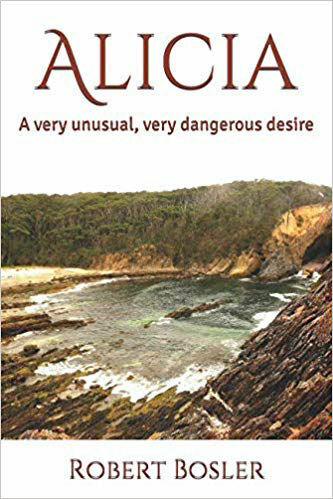 This craving is now satisfied in the form of tender, exquisite beauty, such as she cherishes in the tiny maidenhair ferns of her Guerilla Bay retreat on the south coast of NSW, and, dangerously, in the form of a massive Great White shark. She names him Rhino, and she adores him. Pure, natural power. Alicia needs him, yet rationally she fears him, too. Within minutes of our meeting Alicia she again encounters Rhino, but this time it’s in the shallows. "He has come for me," she confides to a neighbour. Above her, Lucius, the grand sea eagle, looks on. Alicia's deep affection for Lucius and Rhino sends shock waves through the community. They want the shark dead. Alicia knows best where and when to find Rhino, but she isn't saying. People are incensed. Lives are at stake. Tourism is threatened. Thirty-one-year-old Matt seeks Alicia's passion. Stable, country-boy loyal. Alicia feels she needs this, too, but it is Lucius who saves her from Rhino - once. In gripping, intimate tension, Alicia makes a final choice of the heart. Rupert William Blake has decided to become a psychic. He knows the talk, and there's some ready cash in doing readings. Better still, by saying he channels archangels Michael and Gabriel he's suddenly more special than everyone else. He now calls himself Pen, the Instrument of God. But he needs professional prestige. Easy. He buys a Doctor of Divinity degree for fifty bucks. He's now a doctor. A Doctor of Divinity, no less! No one could be more revered. Dr Pen. How good does that sound! All that's missing now is fame. Tragically, hilariously, it comes crashing in. A murdered teenager is discovered in the gym's carpark, in this well-to-do Northern Sydney suburb. Who is the victim? Why did he come to the gym? Suspicion seeps into relationships, testing strengths and acting like an acid as it exposes darker elements of peoples' character. The gym was a place of camaraderie and laughter, of support and aspiration. Now some painful realisations are hitting home. 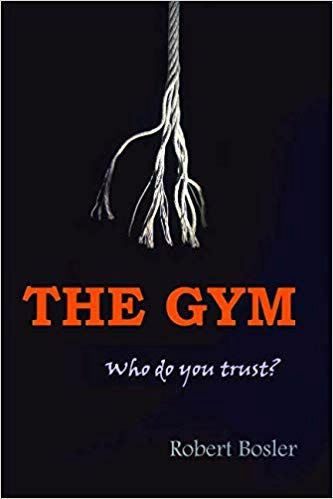 How sincere and reliable are friendships formed in a gym? How deep are family bonds? A powerful tycoon, a fiercely ambitious television reporter, an undercover cop, an artist husband and father with a secretive and maverick background - suddenly these strong personalities are in a collision course where the truth must come out, changing lives forever. Big Phil Maclean, father of a tight-knit family, tells us he’s dead. We meet this gentle giant when he’s still alive, holding the family together. Connie, his wife, is missing something. Phil aches for his educated wife. Dangerously courageous in his self-employment as a fisherman, Phil’s inadequacies slowly eat him alive. 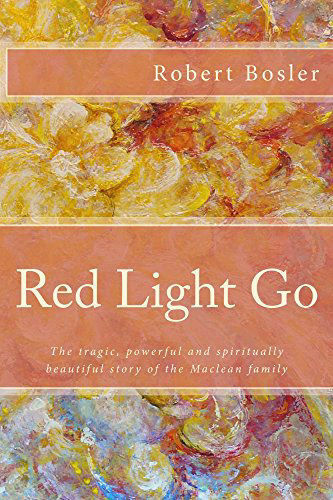 Now their fifteen year old son, Boyd, wants to follow in his footsteps – but no one can, and Connie hates the boy’s choice. Yet her choice was to agree for the family to live here in isolated Bondarra on the far south coast of NSW, Australia, and this innocent choice has tied her far too close to her son, putting them both at severe risk. The seeds of tragedy are sown. Jordan, seventeen, their daughter, sees it happening and warns them. To no avail. Now Phil goes missing, and while we are privileged to hear him tell us his striving to regain contact with his family, and then to influence and protect them, the rest of the family are left floundering and lost. They’re vulnerable. And an insidious danger enters their lives. Connie regains her strength and prospers, but it places ever-supportive Boyd in trouble. Can Phil understand his new spiritual existence and save them from this impending disaster he now sees clearly is coming? This story will touch your heart, break it, and then make it soar with warmth. For existing artists - Why not succeed with your art? You can do it. But if you've been taught by a poor teacher you'll be feeling dissatisfied with your painting. A career in art is still a dream for you. 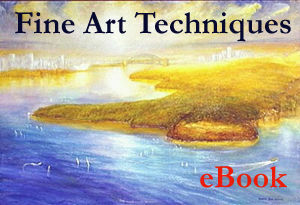 With this book you will discover how easy it is to paint with advanced technique - and you'll be getting the inside information that top-flight art teachers use to deliver success. Make that dream come true. This teaching is rare . No matter where you are placed in your art career - now you can get the best. 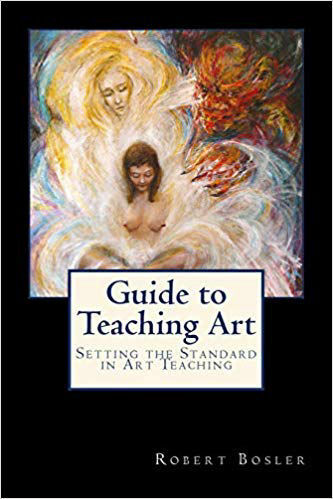 If you would like to teach people how to create to their unique and fullest ability this book guides you through the advanced Fine Art process, dealing not only with the physical qualities of paint, but the crucial personal approach as well. 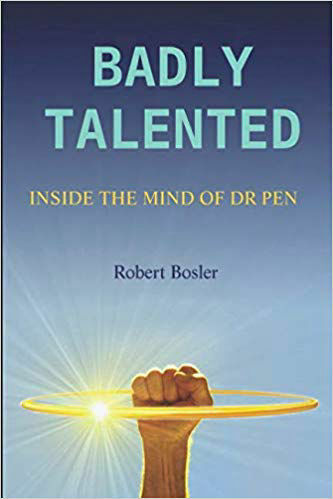 Artist Robert Bosler has been professionally painting since 1987, reaching a top sales price of $25,000. He has put together a teaching program that provides you with everything you need to run classes to the highest standard, or simply to use for your own advanced career. It's all at your fingertips, right now. This is the ebook version of the best-selling DVD Triple Pack (sold into 38 countries). You get each of the 12 advanced oil painting techniques explained in detail. 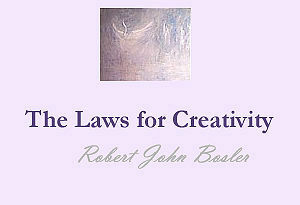 Much more information is included to assist with establishing or developing your art career. 108 pages (A4 size). 270 Photographs. Now delivered via email - your order is sent within 24 hours. Now produced in film format and available on DVD.